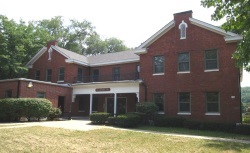 The Argentine railroad YMCA was built in 1937 in the Neoclassical style for use as a dormitory to house railway workers. 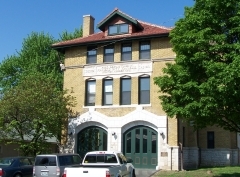 This building, which replaced an 1899 facility that had burned, served workers employed by the Atchison, Topeka and Santa Fe Railroad, which was a major industry in Argentine. Beginning in the 1860s, the Young Men's Christian Association (YMCA) began offering safe and affordable housing to young men moving to cities from rural areas. 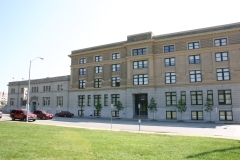 The organization partnered with railroad companies, and the country's first railroad YMCA opened in Cleveland in 1872. 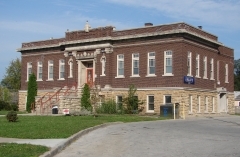 At least eight railroad YMCAs operated in Kansas, and their numbers peaked nationwide in the decade before the Great Depression. 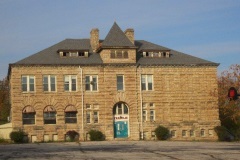 The Argentine railroad YMCA remained open until the early 1980s and was the last of its kind in Kansas. 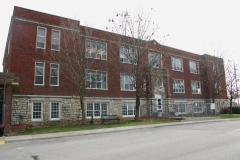 The two-story building is constructed of reinforced concrete and steel with red brick masonry walls, and additions were built in 1963 and 1969. It was nominated for its social history. Architect: Charles Ashley Smith of "Smith, Rea, & Lovitt"
The Fairfax Hills Historic District is a 33-acre landscaped site adjacent to the Fairfax industrial district. 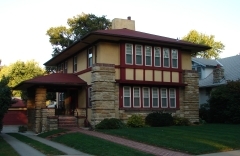 Using federal financing incentives, private developers built Fairfax Hills to help alleviate the housing shortage that accompanied the influx of defense workers to Kansas City during World War II. 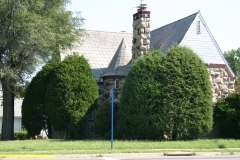 Landscape architects Hare and Hare applied their considerable skills in subdivision design to the property, creating a layout of roads, buildings, and open spaces that responded to the rolling topography and reflected the precepts of development recommended by the FHA. 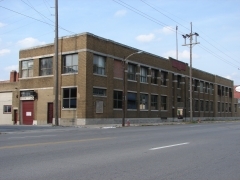 Architect George Metz adapted a standard apartment unit plan into four distinct multi-family building types. 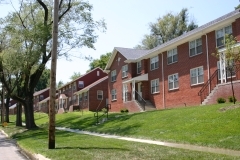 Each building type has a unique appearance that reflects an amalgamation of traditional Colonial Revival architectural treatments and the stripped-down Modern Movement design the FHA preferred for public housing projects during this period.